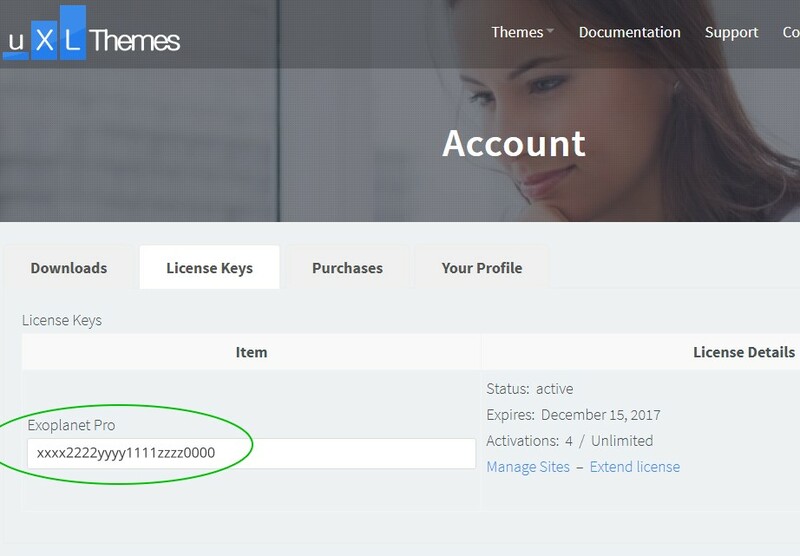 Navigate to your account here at uXL Themes, click on the ‘License Keys’ tab and copy your license key for Exoplanet Pro. 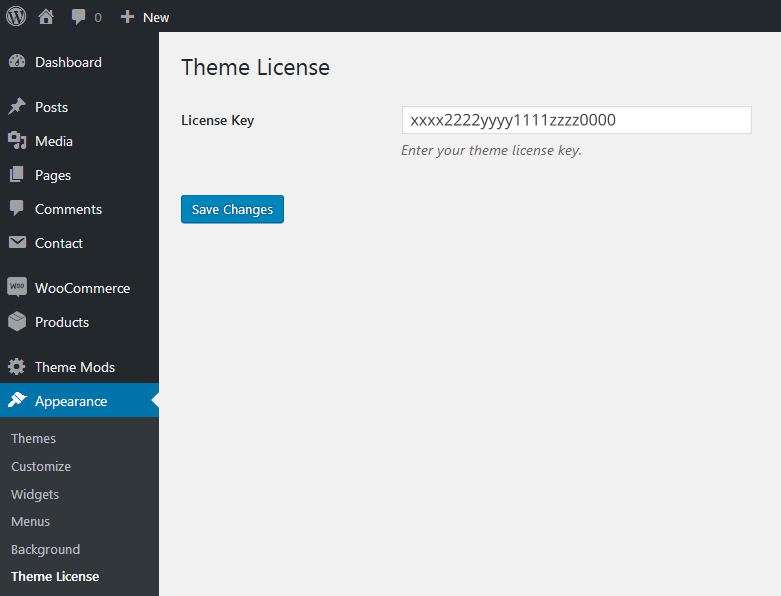 In your website’s WordPress Dashboard, go to ‘Appearance’ > ‘Theme License’. Enter your license key and click ‘Save Changes’. Repeat this for each of your websites – your Exoplanet Pro theme license is valid for unlimited domains. Activating your license allows one click theme updating, when an update becomes available.